TORONTO, October 1, 2015—The Chinese love to celebrate. Whether it is life’s milestones or one of many traditional festivals, there are always good reasons to have a great time. This is the inspiration behind the Mon Sheong Foundation’s annual Cathay Ball, one of Toronto’s most prestigious fundraising galas year after year. 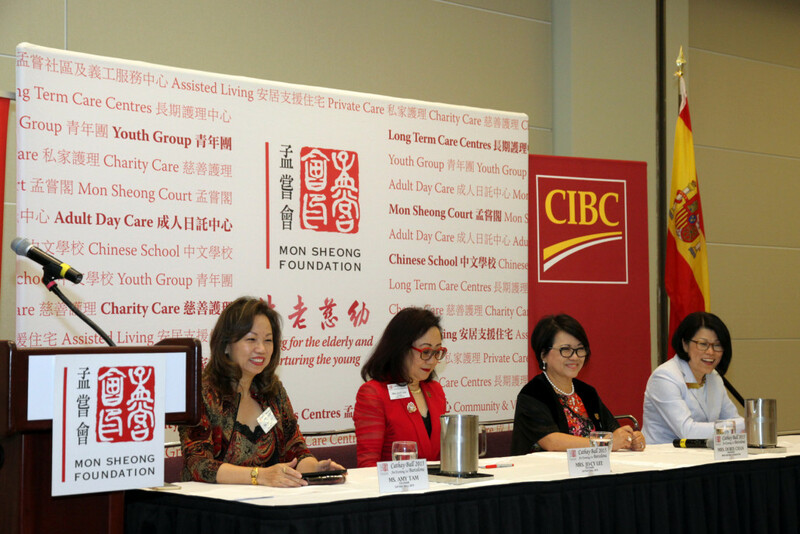 Mon Sheong is Canada’s first charity dedicated to the Chinese community and all proceeds from the evening will be used to support its various programs and initiatives. Celebrating in a familiar way is fun in itself, but with Toronto brimming with multiculturalism, it is even better to extend this joy to other cultures. As such, the organizers of the Cathay Ball select a different city every year to serve as the event’s theme, allowing its guests to immerse themselves in the culture of the chosen area. 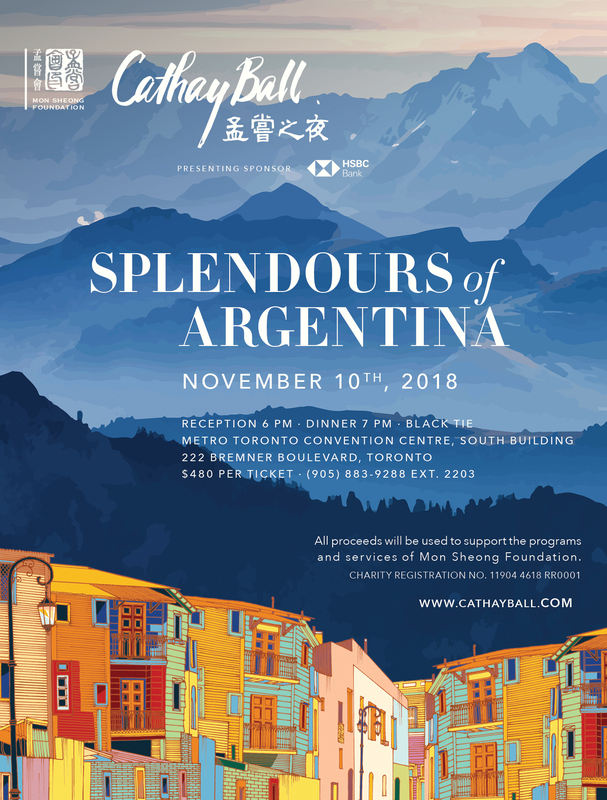 For this year’s Cathay Ball taking place on November 7 at the Metro Toronto Convention Centre, which marks the 24th edition of the event, the decoration, cuisine, and performances will be centred on the vibrant Spanish city of Barcelona. Full of energy and excitement, “An Evening in Barcelona” will certainly be an evening to remember. The silent auction has always been very popular amongst the attendees. The Foundation would like to thank its sponsors and donors for their support. This year, the silent auction will feature over a hundred items for guests to choose from. The special draw is also back by popular demand. There will be three hundred special draw tickets available, and each of them could be selected for a pair of roundtrip premium economy tickets between Toronto and Barcelona sponsored by Air Canada. As with the past, the 2015 Cathay Ball is expected to attract over 1,000 individuals from the Greater Toronto Area. The guest list will include government officials, business leaders, and prominent members of the community. The success of the gala is based entirely on the support of Mon Sheong’s sponsors and supporters. In addition to the Presenting Sponsor, CIBC, the Foundation would also like to thank the Diamond Sponsor, MediSystem Pharmacy, Gold Sponsors, BMO and Palettera, and its various other sponsors for their continual support. It is with their support that the Foundation can continue to provide programs and services to more people in the community. In addition to attending the Cathay Ball, everyone can join in and show their support by purchasing a raffle ticket for the Mon Sheong Charity Raffle. The raffle tickets will be sold at shopping centres, the three Mon Sheong long-term care centres, Mon Sheong’s two Community and Volunteer Services Centre and its Mon Sheong Court locations. Raffle tickets are available at ten dollars each and each ticket will have a chance to win amazing raffle prizes sponsored by Canada Computers. For any enquiries about the Cathay Ball or the Mon Sheong Charity Raffle, please call 905-883-9288 ext. 2203 (toll-free: 1-866-708-0002) or visit www.cathayball.com for more details.